Message Boards - Boba Fett Fan Club → Bounty Hunters → Bounty hunter ships? Or you could just make one up. nifty ship! Looks like an X-Wing! Well, the Normandy was just supplied as something I think CA's ship would look like. Fighters are not the type of ship I think that a Bounty hunter should have, many of them are single man crafts. Medium ship.Too big is ugly.Just try slave models.Its easy to do couse you know what it look like.Or try "wolf" models...well your choice! This is what my ship might look like if I was to be a fighter and not a bounty hunter, where you would need to have a cargo hold. I would go with a firespray like Slave 1 or a modified clone gunship. What you need to realize is that there is a difference between a "Mercenary" Ship, and a "Bounty Hunter" ship. Since the one who started the message board was interested in a "Bounty Hunter" ship. I would say that she wouldnt need a fighter, and a freighter wouldnt work unless she had the credts to modify it heavily. Hence a firespray or a combat vehicle. I would say that since all vehicles are fictional it would be best if the ship were origional, in that it was something never before talked about. In a galaxy there are nearly endless capabilities. I say do some research and find out what a bounty hunter ship NEEDS and create it. If you can't do that ask someone to help you, but don't base it off of what has already been made. Try something new and keep the Star Wars univers alive by contributing something that hasn't been put out there before. It wouldnt have come as far as it has if everyone who came along hadnt contributed a bit more to the dream. I don't mean to offend anyone but I say invent, and if you cant ask someone to help you invent. Try to find something origional. "Everyone dies. It is the final and only lasting justice." I would say Slave 1. But on search and destroy missions I would have to say a modified tri fighter like Jagged Fel Flew. I honestly couldn't name an exact ship. But I'd say go with something subtle, but that has a lot of fire power. Maybe a couple blaster cannons and some concussion grenade launchers. A tractor beam and a missile launcher wouldn't be a bad idea either. Think, if you can disable a ship with a concussion missile, and then you grabbed it with the tractor beam and fired a rocket down to finish the ship? That's a pretty effective way of killing off an enemy. By the way, I got this idea from the book Tales From Jabbas Palace. In the vong wars the jedi used "shadow bombs" or proton torpedos hurled with the force. These were quite effective in that they were hard to track. You could devise a launcher that "hurled" explosive ordnance without constant propulsion and I think it would have much the same effect. Sort of like a catapault because it would not give off an energy signature saying that it was firing, and it would be line of sight which would mean no targeting systems. Hard to track what you cant see. Thats called really bounty hunter ship.. Yes mando IG-88b was a bounty hunter. you can use to make the fan film. it is a great idea. i really appreciate your step which you have taken. Thank you. I am really surprised of joining discussion about bounty hunter ship . I really wanted to develop a brief remark so as to appreciate you for some of the precious techniques that you’re placing on this website. My extremely long internet lookup has finally been honored with excellent facts and methods to talk about with my classmates and friends. I‘d mention that we readers are rather endowed to exist in an outstanding site with lots of special people with valuable tips. I feel really grateful to have seen all of your forum site and look toward a lot of more pleasurable moments reading here. Thanks once more for all the details. I think Darth Mauls Sith Infiltrator would make a great bounty hunter ship as it not only has a large cargo hold for keeping prisoners but it also has proper cells. Also it has a cloaking device so this is the ship I think would make a good bounty hunter ship. 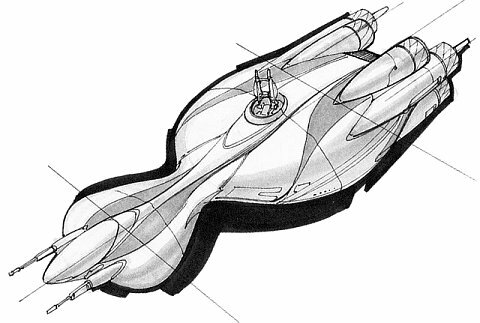 I think a ship sort of like Padme' Amidala's personal transport (the Naboo Royal Cruiser) would be cool. Especially if it was heavily modified with lots of weapons because then it would not only be fast, but deadly as well. I'd go with a theed cruiser it has speed, weapons ,and shields. You could really pick anything bounty hunter ships are usually custom. I AM the riffraff. And I'm going in. An ARC-170 fighter. Can go toe-to-toe with an X-wing class. "During the Galactic Civil War, ARC-170s could be found in both Imperial and Rebel fleets, where they were considered elite craft." Problem with ARCs is they don't have any room for hard merchandise so they would be pretty useless to a hunter. It's hard to get your customer to pay you if you can't transport live bounty or evidence of it. As for the ship question, I'd go with a modified Clone Wars LAAT/I Gunship, with upgraded weapons and automatic gun balls so you can go solo.